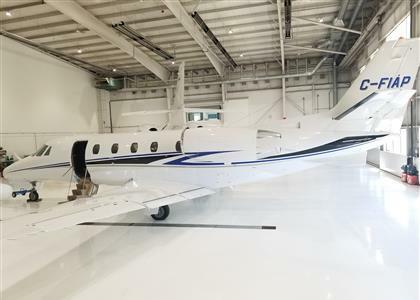 Cessna applied some of the best features from throughout its storied product line to the Citation Excel (Model 560XL) private jet, mating a shortened version of the Citation X fuselage with a supercritical airfoil based on the Citation V Ultra's wing, and the Citation V empennage. The result is an aircraft that capably melds luxurious cabin space and accommodations with true transcontinental range. Powered by twin Pratt & Whitney Canada PW500 turbofans, the Excel also offers the roomiest cabin in its class of light corporate jets and can seat up to 10 passengers in high-density configuration. For detailed specifications and photos of ALL On Market Cessna Citation Excel, please complete the form below.